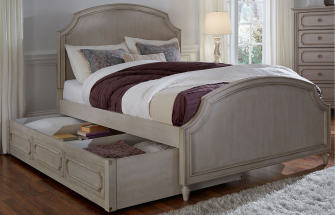 Use with the 7870 Arched Panel Bed, Upholstered Panel Bed, or Sleigh Bed. Requires Bed Rails. Rails must be in high position.